About CCNP/CCDP BSCI Exam: Exam 642-801 replaces 640-901 Routing exam. 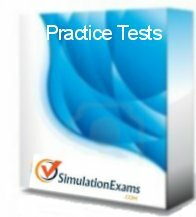 BSCI (Building Scalable Cisco Internetworks) exam forms part of CCNP certification. Other exams that count toward CCNP are: 642-811 Switching, 642-821 Remote Access, and 642-831 Support exams. Note that the exams 642-801, 642-821, and 642-821 count towards CCDP certification as well. BSCI exam evaluates one's ability in designing and implementing complex routed WANs including EIGRP, OSPF, BGP, and IS-IS. Exam # 642-801, BSCI (Course: Building Scalable Cisco Internetworks). Includes lab exercises.